Build Time is currently 2-3 Weeks. Don't wait though, as these are the last of them! If you know who Glenn Fricker is, you know he's serious about tone and quality. 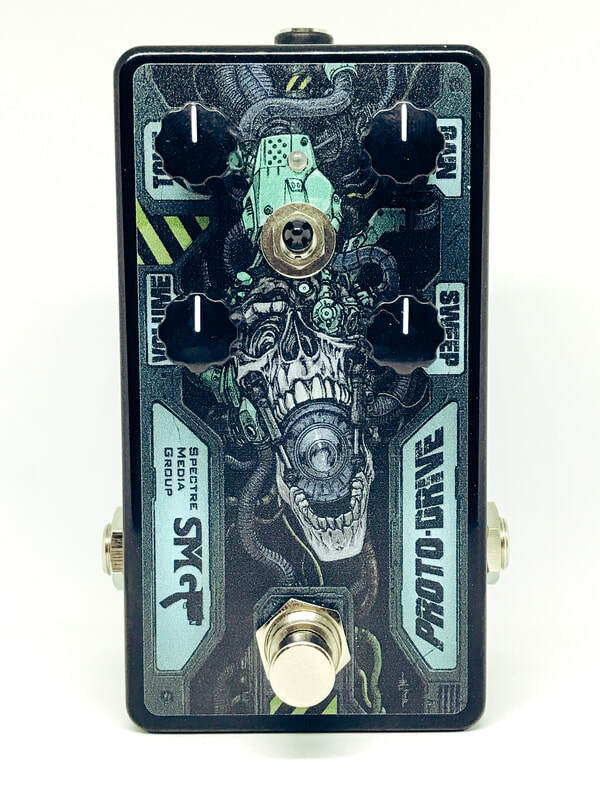 That's why we're pleased to bring you his very own pedal, the SMG Proto-Drive. We've taken our Proto-Drive and shrunk it down with simplified features so that you can get a huge variety of tones without too much messing around. Less time spent tweaking means more time playing and recording. Engineers (and other band members) will love it. The main attraction of this pedal is the Sweep control. This sweeps through the mid range frequencies where your guitar signal lives. The lower end of the control will give you a very thick and phat low mid tone, while the upper end will give you insanely sharp pick attack. In the middle of the range you'll find a nice balance of the two. We worked to make this control not overly sensitive so that if you accidentally bump it, you wont lose your sweet spot nearly as easy. There's nothing worse than screwing up a tone that makes you smile. The Tone control interacts nicely with the Sweep as you can tame any piercing highs, or add some sharpness to the huge lo-mids. On the inside is an Led brightness control. It has nothing to do with the tone, but some people aren't a fan of super bright lights in their face so we added the dimmer option.